How much do you know about Thanksgiving? Are you looking for a simple, easy, and quick way to help kids learn more about the holiday? 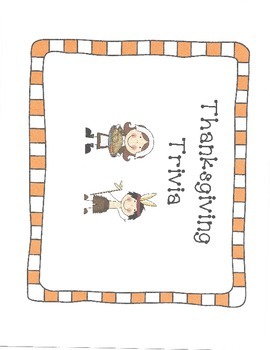 Thanksgiving Trivia is your fun, easy, and quick set of trivia questions about Thanksgiving! Use as a unit review, in the 5 minutes before recess or that activity you needed to keep the kids engaged before the assembly. Hope you and your kids have fun!